FLISP stands for Finance Linked Individual Subsidy Programme. The FLISP Housing Subsidy programme was developed by the Department of Human Settlement to enable first time home ownership opportunities to South African citizens who earn between R3 501 and R15 000 per month. What is the objective of FLISP? The objective of the programme is to reduce the initial mortgage loan amount to render the monthly loan repayment instalments affordable over the loan payment term. Who is FLISP targeted at? Households whose income range is R3 501 to R15 000 and are South African citizens. What can first time home buyers do with FLISP? Applicants can qualify for a FLISP subsidy amount of between R20 000 and R87 000, depending on the applicant’s combined monthly household income. Qualifying applicants can choose to purchase a house in a FLISP approved development. Acquire ownership of an existing residential property. Build a new house with the assistance of a homebuilder registered with the National Home Builders Registration Council (NHBRC), on a serviced residential stand, that is already owned by the beneficiary. 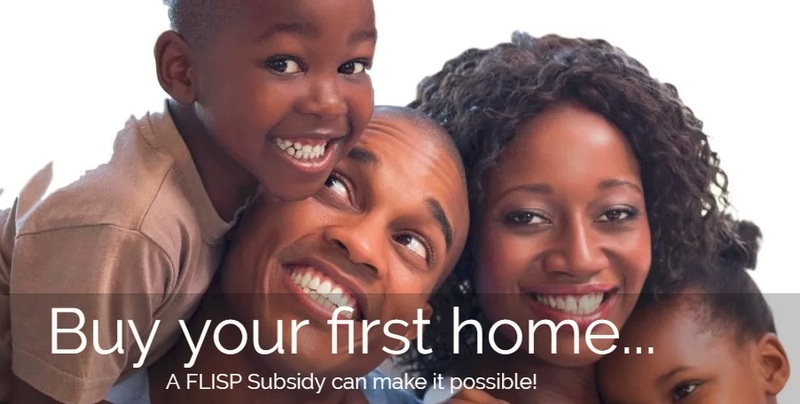 How do I qualify for a FLISP subsidy? There are six simple questions that if you can answer yes to, will mean that you qualify for a subsidy. Do you earn between R3 501 to R15 000. Are you a South African citizen with a valid Identity Document, or be a permanently resident with a permanent residence permit? It is true that you have NEVER qualified for a government housing subsidy before. It is true, that you have not owned a fixed residential property before. Are you competent to contract - over 18 years or legally married or legally divorced and of sound mind. First and foremost you must be in the market looking for a house and should be able to secure a home loan as it is a requirement to access the Finance Linked Individual Subsidy Programme (FLISP) subsidy. To apply, please contact 087 7000 347 and speak to one of our consultants.